87 km northeast from Kemijärvi, 22 km from Salla centre. 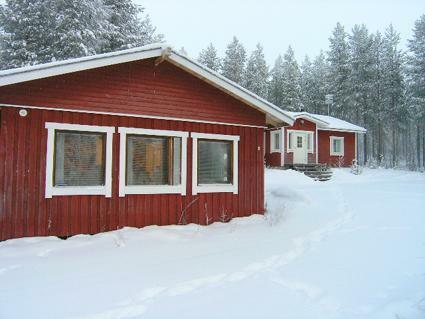 Cottage is located near (500 m) Kelloselkä border crossing, location is not by the shore, use of boat and canoe on the River Naruskajoki (38 km). 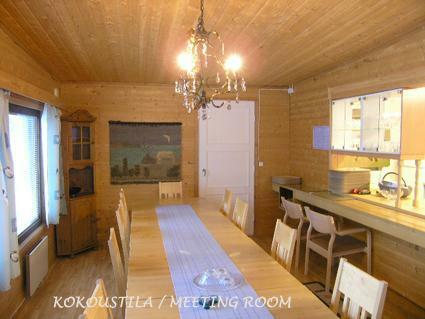 Wooden cottage (90 m²) and separate meeting room (32 m²) built in 2002. 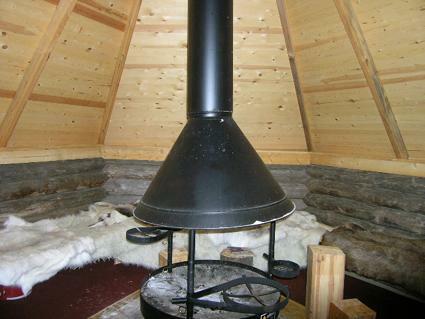 In the cottage there are kitchen, 2 bedrooms with double bed (width 140 cm) in each, 3 bedrooms with bunk bed in each, electric sauna, washroom, separate toilet, hall and vestibule. Barbeque hut on the yard. Meeting room: living room, kitchen and toilet. Among other things there are electric lighting and -heating, big table, sink, ceramic stove, microwave, dish washer, fridge and freezer, chest freezer, TV, radio and CD-player. Kelloselkä border crossing to Russia 500 m, UKK hiking trail 500 m, Salla Ski resort 32 km. 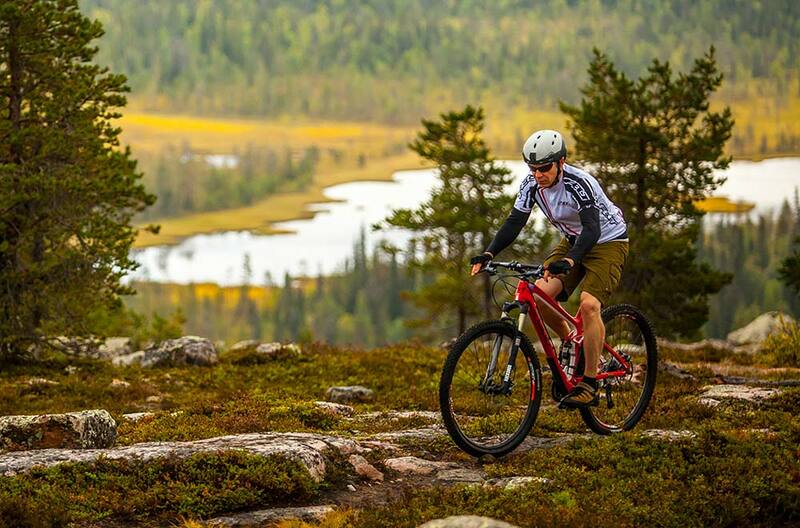 Kantalahti (in Russia) 190 km. Road 100 m distance from the cabin. 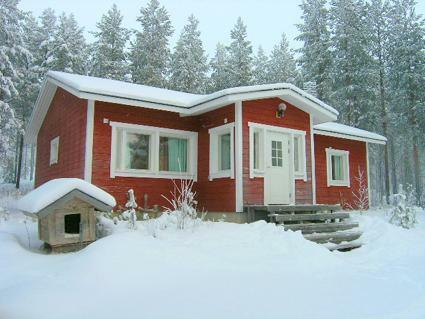 Itätullinkievari is perfectly suited for hiking, snowmobiling, hunting etc hobbies base in eastern Lapland. The caretaker can arrange visas and other permits to cross the border to the Russian side, as well as acting as a guide (extra price). Hunting possibility in Salla Yhteismetsä hunting area by agreement. State-owned land`s small game hunting area No. 3611 Naruska - Tuntsa. 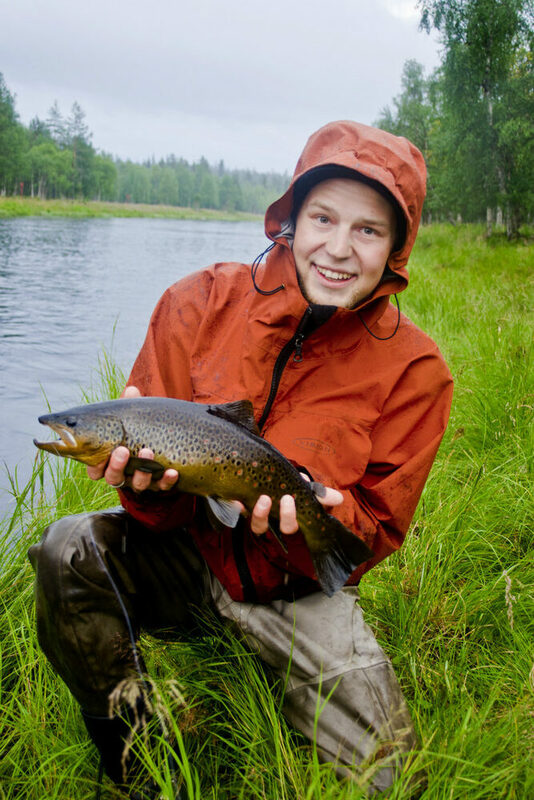 Fishing possibility in Rivers Tenniöjoki and Naruskajoki (permits are required). Please notice! At the moment there is renovation work going on in the end of the meeting room building but it does not affect presented facilities.